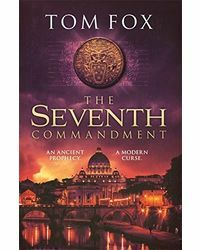 The Eleventh Commandment by Jeffrey Archer is a work of fiction by one of the greatest novelists of all times. The novel is based in the United States, and is linked with the working of the Central Intelligence Agency. This is the story about Connor Fitzgerald, who is a CIA assassin, who has been doing his job for more than two decades for his country. He has been awarded the Medal of Honor, and he is very attached to his family. Fitzgerald is nearing his retirement, and his double life will soon come to an end. He suddenly realizes that he is being targeted by his own boss, who wants him dead. On the other side of the Globe, the newly elected Russian President wants to use military force against the United States. The story shuffles from The White House to the hideout of a Russian mafia, keeping the readers interested. 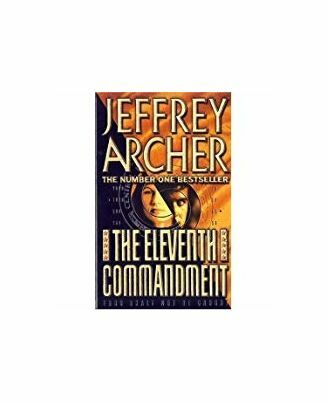 The Eleventh Commandment by Jeffrey Archer is a work of fiction by one of the greatest novelists of all times. 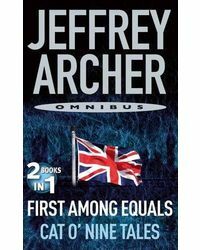 The novel is based in the United States, and is linked with the working of the Central Intelligence Agency. This is the story about Connor Fitzgerald, who is a CIA assassin, who has been doing his job for more than two decades for his country. He has been awarded the Medal of Honor, and he is very attached to his family. Fitzgerald is nearing his retirement, and his double life will soon come to an end. He suddenly realizes that he is being targeted by his own boss, who wants him dead. On the other side of the Globe, the newly elected Russian President wants to use military force against the United States. 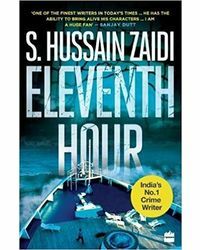 The story shuffles from The White House to the hideout of a Russian mafia, keeping the readers interested.